Queen Bey is the only celeb on the list. Beyoncé proves once again that she’s a force to be reckoned with. The singer made Fortune‘s list of Most Powerful Women, nabbing a place at number 51, and having the honor of being the only celebrity on the list. 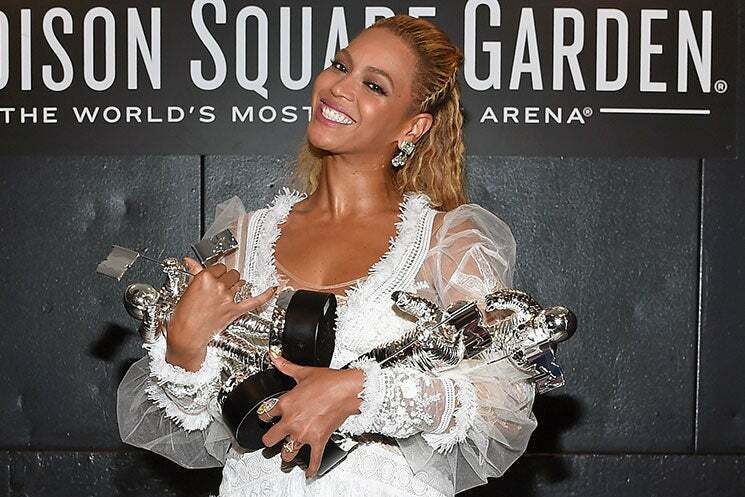 Bey has been killing it this year and Fortune took notice, listing some of the superstar’s biggest accomplishments as reasons for her place on the list. This year, the “Formation” singer became the first female singer to have 12 songs on the Billboard top 100, invested in female-driven brand WTRMLN WTR, and launched Ivy Park. Fortune lists her title as “Queen Bee” and rightfully so. No one works harder than Bey to entertain us while juggling the myriad of projects she has a hand in. In 2007, she founded her own entertainment and management company, Parkwood Entertainment and this year the group added three incredible female artists to its roster. And, while being the biggest entertainer in the world and a savvy businesswoman show that Bey has the range, money talks too. Fortune states that Queen Bey’s net worth is between $265-$465 million.